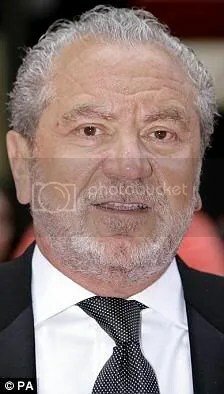 It’d be a big enough mistake to get an ordinary mortal fired but when Sir Alan Sugar claimed the iPod would be dead within a year, he had no idea that he’d got it wrong 174 million times. The Amstrad boss is just one of ten luminaries featured in a new list of the worst technology predictions of all time. But should he be worried about his lack of foresight, he’s in good company, including Microsoft founder Bill Gates. The list was compiled by Gadget Magazine, T3 & reveals how other industry leaders have also written off televisions, X-rays, telephones & jumbo jets. Sir Alan Sugar made his dire prediction in an interview in February 2005. “Next Christmas, the iPod will be dead, finished, gone, kaput,” he said. 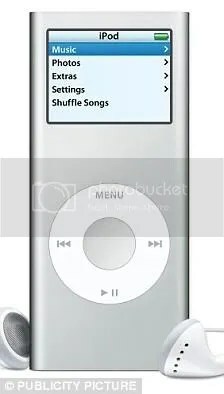 Since then, the music player has become one of the best-selling gadgets of all time with makers Apple selling 174 million units. Bill Gates, meanwhile, enters the top ten twice with a pair of astonishingly inaccurate predictions. His first gaffe came in 1981 when he stated that no personal computer would ever need more than 640KB of memory. Most now operate with at least 2 gigabytes, 3,500 times the figure. As if this wasn’t bad enough, he struck again in 2004 when he told the World Economic Forum that spam e-mails “would be solved within two years. Made in 1878 by Sir William Preece, Chief Engineer at the Post Office. “The Americans have need of the telephone but we don’t. We have plenty of messenger boys,” he said. Lord Kevlin, President of the Royal Society, was clearly unconvinced when he made his comments in 1883. Darryl Zanuck, 20th Centurt Fox movie mogul was responsible for this clanger back in 1946. He claimed the technology had a short shelf life because people will “soon get tired of staring at a plywood box every night. Back in the 1950s, Alex Lewyt, President of the Lewyt Corp. Vacuum Co., claimed it was only a matter of time before nuclear power was used in the home. “Nuclear-powered vacuum cleaners will probably be a reality within ten years. “We stand on the threshold of rocket mail,” said U.S. Postmaster General Arthur Summerfield in 1959. In 1977, Ken Olsen, the President, Chairman & Founder of Digital Equipment Corp. (DEC) claimed there was no reason for anyone to want a personal computer. …though there’s no doubt he said this one. Speaking at the 2004 World Economic Forum he claimed a solution was in sight.